Have a hoot in the kitchen with this owl stacking bowl set. 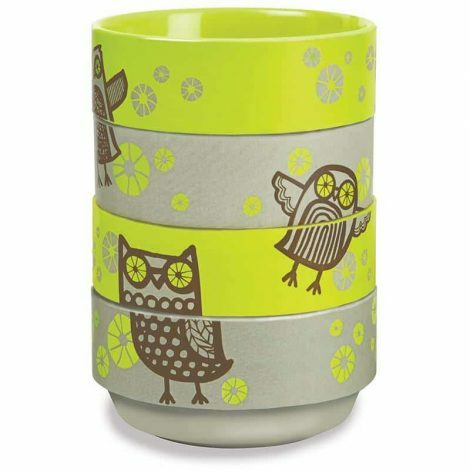 These 70s retro style owls look modern against the lime green backdrop. Also they’re a perfect size for snacks and dips!